Dear Narcissist Problems, "Im a Survivor"
I'd like to suggest posting how it feels when you stay strong, positive and keep moving forward, and take action... It's so indescribable no tension no worry pure happiness and pride and amazement of oneself and its feels amazing I could go on and on but I am finally free of control and can't wait to drive my life. I totally agree! We do focus a lot on the negative around here and I love your suggestion! I’ve actually been reflecting a lot lately on how much has changed in my life since going No Contact with my narcissist and anyone who enabled that person. At first, it feels miserable!!! In my own situation I went no contact with my mother and then many family members as a result. I ruminated about how I could go on without these key people in my life. Who am I without them? Can I survive without them? But the most important question I’ve ever had to ask myself and reflect on for a very VERY long time would be “Am I doing the right thing for my own children?” I spent so long wondering where things had gone wrong and what I could do to fix them that I finally reached a point of realization that these people were slowly killing me. I had been gutted. I spent time reflecting on my childhood and how I always felt a sense of connection to my family. What I did not take into account is that most of that connectedness was in the form of chaos and drama. That connectedness was a form of connectedness was slowly tearing me apart one humiliation, degradation, and lie at a time. We truly can’t tear ourselves apart in order to keep others whole and nor should we be expected to. Especially from family. After deciding, no family is better than family who actively tries to destroy you from the inside out! I thought about my children growing up lonely and without those connections but I have made peace in that I know with all of my heart that I had to break this generational pattern of dysfunction. While I struggle to make holiday traditions or anything else I never learned how to do growing up, I think I’m doing a great job as a mother. What happens once you leave a narcissist? The first thing that will happen is that your levels of anxiety will slowly wane. You will probably spend a few months or years afraid to leave your home. But! Once that anxiety passes you will be filled with a sense of ambition and excitement for life! Yes you!! The one sitting there in the same clothes without showering for three days because you are depressed or afraid to be caught vulnerable naked in the shower by a random narc attack. This fear will pass and you will be motivated to finally break out of that image the narcissist created for you and live your life!! You analyze yourself. 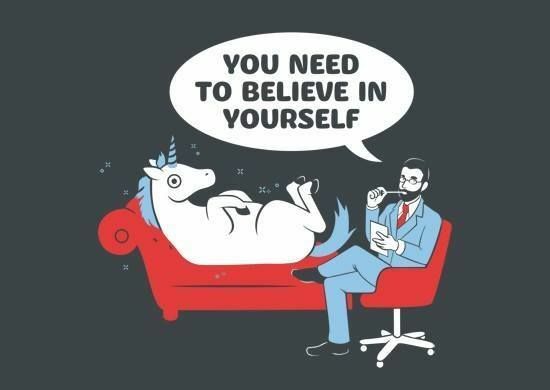 You read books, you join support groups, and you get into therapy. You think you know who you are but you have spent so many years being told who you are that at this point you really need to find out the truth. Being with a narcissist in any relationship will wear you down to your core. 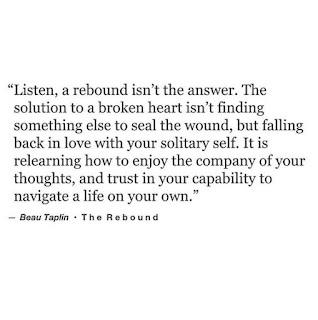 You will leave that relationship feeling like an utter failure. A loser, a whore, a liar, a cheat, a drug addict, a horrible parent, a basket case, a control freak, and even possibly an abuser. You are no good and dirty! You are a shame and you are guilty of it! Who knows what it is, but you did it or do it! Now is the time to discover the truth and what you find will amaze you!!! You find out that you are do not have every negative trait known to mankind all in one body. You are compassionate and caring! You are creative and intelligent! Most importantly, YOU are capable of achieving anything you set your heart and mind to. You do everything you have set your heart and mind to. You take the steps necessary to building a better life. A beautiful life. You take the steps to finally build the life you deserve! You are finally ready to be you and to be the best you YOU can be! Unapologetically you. You start writing and encouraging others who are where you were last year. You take classes. You finish that college degree. You create art. You redecorate. You apply for your dream job and you get it! BECAUSE YOU ARE CAPABLE AND YOU DESERVE IT!!! You stop to feel grateful that you had the courage to leave. 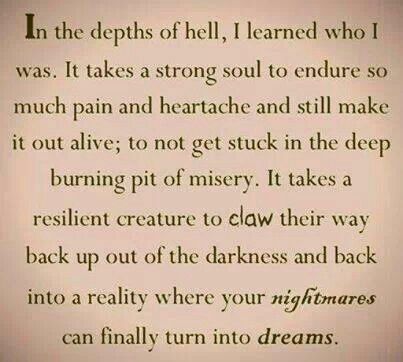 Just like with abuse you realize there are setbacks in your healing and recovery as well. There are highs and there will be lows. These lows come in the form of self-doubt, grief, failing to build proper boundaries in new relationships, paranoia, or a random trigger like a police siren. This is when you know you have the strength and courage to continue on. You force yourself out of these negative feelings and the cycle of healing begins again. You read, you share, and you continue setting goals and smashing them. There has been a fire lit in your soul and never again in your life will you allow anyone to squelch it. You have described here the perfect example of a rebound relationship. Unfortunately, your rebound after divorce landed you in the arms of an emotional predator. 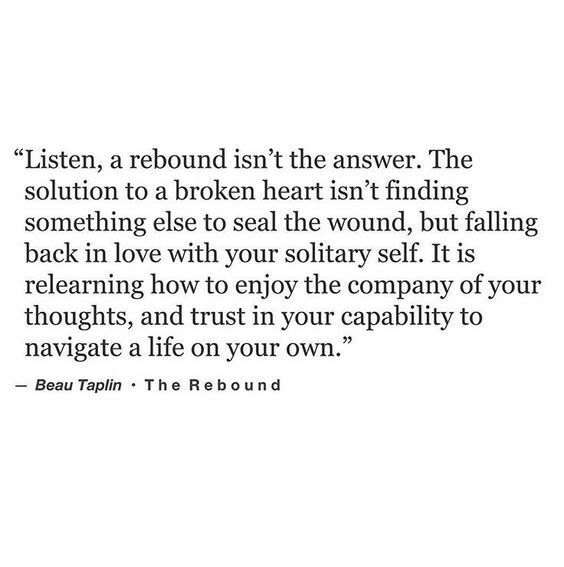 Break ups of any kind can be devastating and leave us feeling broken, unloved, and unlovable, damaged, and left with a general sense of there something being wrong with us. I am going to assume that you were love bombed by this narcissist you jumped into your next relationship with. While you were experiencing rejection from your divorce here comes Mr. Wonderful who is full of immortal love and admiration for you. He probably showered you in attention while simultaneously telling you that your ex was horrible and stupid for wanting to leave someone as amazing as you are. What you didn’t do is give yourself space or a chance to think about things clearly before continuing on in this relationship. I’m sure you ignored many red flags that this relationship would most likely be doomed to fail. Now after this horrible experience with Mr. Wonderful you are probably doubting the problems that you had with your ex-husband. There is a saying out there about nostalgia helping us forget all the bad while focusing on the good that occurred in past relationships. This is probably why you are feeling confused about your ex-husband. I would give yourself adequate time to sort out your feelings. It seems as if you are a giver and in this moment you are trying to find someone to fill a void. Someone to give that love to. I want you to stop right now because you need to be giving that love to yourself. Divorce doesn’t just happen. There were reasons why you split up. I’m not saying it’s impossible for you to still love your ex-husband but perhaps you should take things slow if anything and rebuild a friendship before exploring feelings of being in-love. I don’t know about your childhood but you just might be confusing feelings of intensity with feelings of love. Take a lot of time to get to know yourself before even considering a relationship with anyone other than yourself. I hope this helps! Good luck to you on your healing journey! I’m looking for a post about how narcissists want their victims to suicide. Was it shared here and if could you share the post again? We come now to a sort of paradox. I have said that evil people feel themselves to be perfect. At the same time, however, I think they have an unacknowledged sense of their own evil nature. Indeed, it is this very sense from which they are frantically trying to flee. The essential component of evil is not the absence of a sense of sin or imperfection but the unwillingness to tolerate that sense. At one and the same time, the evil are aware of their evil and desperately trying to avoid the awareness. Rather than blissfully lacking a sense of morality, like the psychopath, they are continually engaged in sweeping the evidence of their evil under the rug of their own consciousness. For everything they did, Bobby's parents had a rationalization-a whitewash good enough for themselves even if not for me. The problem is not a defect of conscience but the effort to deny the conscience its due. We become evil by attempting to hide from ourselves. The wickedness of the evil is not committed directly, but indirectly as a part of this cover-up process. Evil Originates not in the absence of guilt but in the effort to escape it. Peck, M. S. (1983). People of the lie: The hope for healing human evil. New York: Simon and Schuster. The short answer, if I can find this post or not, yes a narcissist will push their victims into committing suicide. Not only will they do this but they have created the illusion that the victim is and always has been unstable while leaving out the facts of all the deeds they have done to push their victim into that state of utter despair. I hope this clears some things up for you. "Narcissistic Abuse pushes the victim to their lowest feelings of human worthlessness, causes resultative trauma symptoms of emotional and physical paralysis, depression, confusion that leads to their total human dysfunction, destruction and leading to suicidal ideation. 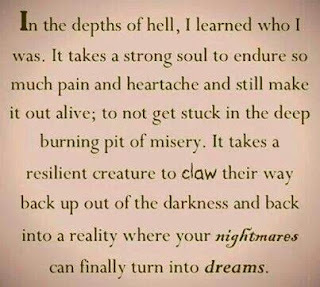 Suicide is often the only way out for an uneducated targeted victim of narcissistic abuse who does NOT recognize they are being abused by a pathological relationship narcissist. The victim does not realize s/he is being slowly murdered by the narcissists psychological behavioral applications of torture that NOBODY in society will recognize and validate, society does NOT see the narcissistic predator! The narcissist achieves his/her victim’s fatality by causing the suicide (psychological homicide) without getting any blood on their hands. This result is the ultimate victory for a NPD/ASPD (psychopath), s/he is in control!!" I could go on and on about this topic for days and years, as I already have with no end in sight. If you were wondering: Will/can a narcissist push a person to suicide? The answer is yes. Not only is the answer yes it just might be their ultimate goal so surround yourself with others who have been there and can sit here like I am today screaming from the rooftops THESE MONSTERS EXISTS SO PLEASE SAFE YOURSELF BEFORE IT IS TOO LATE!!!!!!!!!! Dear Narcissist Problems, "My Therapist Fired Me"
It is an amazing day when we do that infamous Google search that forever changes our lives. For me it was “Mothers who hate their daughters” and BAM!!! Right before my eyes was the one explanation that defined exactly what I had been through for the prior 33 years of my life. By clicking on that one link “Malignant Narcissists” I found my relationship with my mother described to a T. This opened the door to meeting others who had experienced my frustration, grief, and inadequacy. In doing so, we all seemed to be asking the same question; “How do I find a therapist?” Many of us have experienced therapists who were not trained to deal with this type of disorder, did not understand this disorder, or were adamant on labeling us as flawed and/or defective. As survivors of this type of abuse we begin our journey down the very lonely road of healing. When seeking a therapist you will want to interview a few and then finally settle on one who not only understands what you have been through but one who you feel comfortable. We have spent too many years of our lives being told how to think, feel, and act. We don’t need this same behavior from our therapists! I gave some advice the other day and after writing it I would like to retract my statement. I told a young lady to search for scholarly articles and not to just do random google searches in order to find answers. I was wrong and I think I said this because the person was young and I was afraid she would encounter more emotional vampires on her road to recovery than need be. For myself, the path that I found to healing was in doing google searches and reading what others who had lived through this insanity had to say. I joined support groups online for the days where I needed someone to talk to when life and anxiety was unbearable. I later started this group. The best resources I have found to help me heal were from others who had been there. No amount of therapy could have healed me because I needed to find answers on my own. I read continuously until I couldn’t read anymore. I’m talking a whole entire year of nothing but reading on this subject. When I exhausted my resources I read everything again. During this year I was running scared and terrified and then I grew angry. I was angry with my narcissist for stealing so many years of my life. I think it was a blessing in disguise that your therapist fired you. 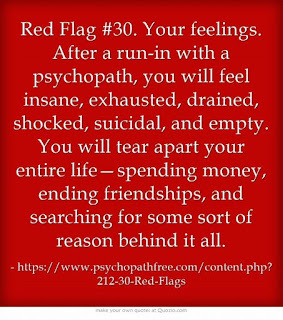 You have experienced the red flags of a bad therapist; someone who is telling you how to think or feel, makes you feel ignored/betrayed, who doesn’t listen, and doesn’t truly get what you are saying if they do listen. 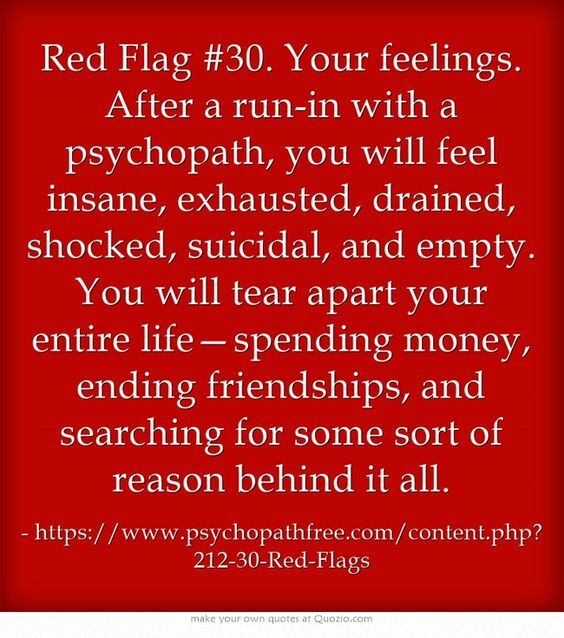 If you are uncomfortable with the therapist that is the first huge red flag that you should continue on with your search. Ask them questions about their experience with narcissistic personality disorder, emotional abuse, psychological abuse, and trauma. Just because they hold a degree in psychiatry does not mean they will understand this disorder. Interview them and interview a lot of them until you find one that fits.